Cocaine is a crystalline alkaloid that is derived from the leaves of a coca plant. This drug is highly addictive due to the euphoria one feels when taking it and also the fact that the effects are short lived. The Office of National Drug Control reports that an estimated 3.6 million people are addicted to cocaine. South Florida is a prime location for the import of cocaine due to its long coastal border. Although many say that cocaine import is down compared to other drugs, the first half of October of 2013 proved that theory false. A captain and crew of a 106-foot luxury yacht were arrested on October 9th for smuggling 620 pounds of cocaine. They allegedly got the cocaine in the Bahamas and their final destination was West Palm Beach. The street value of the cocaine was estimated between 5 and 6 million dollars. The definition of trafficking in cocaine is found under Florida State Statute 893.135(b)(2). The statute uses the metric system to calculate weight. 620 pounds of cocaine equates to roughly 281.6 kilograms. Due to the quantity of the drugs seized, this crime would fall under the category of first degree felony of trafficking in cocaine. Anyone who is in possession, actual or constructive, of 150 kilograms or more of cocaine, if convicted, receives a life sentence. The yacht captain and crew would be imprisoned for life and not eligible for any early release. The punishment for this charge is harsh to say the least. Prosecutors and law enforcement join forces to make sure they get a conviction. There are defenses, however, to this horrendous charge; you need the skilled West Palm Beach Cocaine Trafficking Lawyers at The Law Offices of Roger P. Foley to help minimize your exposure and fight the charges against you. On 10/10/13, a South Florida marine patrol deputy discovered a burlap bag containing 25 kilo bricks of cocaine just floating in the water. The value was calculated at $700,000. No one was arrested in that case as of yet. If someone were found in possession of the burlap sack containing the cocaine, under the sentencing guidelines they would receive a minimum mandatory sentence of 15 years and a $250,000 fine. The definition of trafficking in cocaine is found in Florida State Statute 893.135 (b)(1). Trafficking is more than 28 grams but less than 150 kilos. It is a first degree felony and the more drugs you have, the stiffer the penalties and fines. Regardless of the amount, if you are convicted of any drug offense, there is a mandatory two-year suspension of your driver’s license. 28 grams or more, but less than 200 grams, imposes a minimum mandatory prison sentence of 3 years and a $50,000 fine. 200 grams or more, but less than 400 grams, imposes a minimum mandatory prison sentence of 7 years and a $100,000 fine. 400 grams or more, but less than 150 kilos, imposes a minimum mandatory prison sentence of 15 years and a $250,000 fine. 150 kilos or more imposes life imprisonment and no possibility for early release. Imagine you are the boat captain that was just arrested. He is probably sick to his stomach knowing he might never be a free man again. His mind is racing about his family, his job and the uncertainty of his future. His case will be prosecuted by the Feds since he was traveling from the Bahamas to West Palm allegedly with the intent to bring the cocaine into the U.S. He will need an aggressive and skilled lawyer to protect him from losing his freedom. When you or someone you know is charged with a crime, that’s all it is, a charge...an allegation. Obviously the more severe the crime, the harder it is not to panic. However, you don't have to panic when you have a tough attorney on your side! We know it’s easy to say this when you are not the person charged, but that’s when The Law Offices of Roger P. Foley comes to your defense. When you become our client, you become our family. We do not want to see you go to prison or jail, and we will fight with every ounce we have to prevent that from happening. We will explain to you that the State of Florida has to prove to a jury of your peers beyond a reasonable doubt that the crime happened and that you are the one responsible. The alleged defendant knew it was cocaine or a mixture of cocaine. During the course of trafficking in cocaine, if it is determined that one possessed a firearm, the penalties are more severe and the offense becomes a first-degree felony punishable by life in prison. 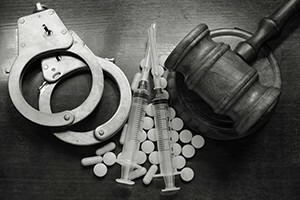 Being charged with the crime of trafficking in cocaine is complicated but The Law Offices of Roger P. Foley can defend and aggressively fight such a sophisticated case and would be glad to sit down and discuss all the options available to you. Call us today at 561-746-7076.